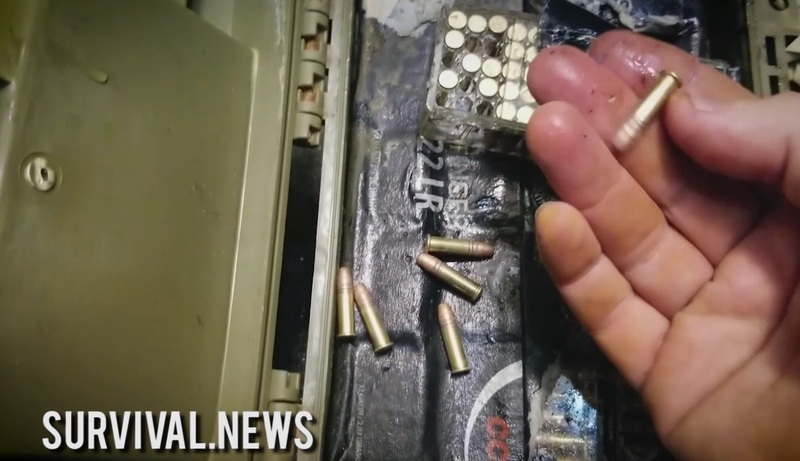 (Natural News) I just ruined over a thousand rounds of ammo to find out which ammo storage containers really work in harsh environments. A little over a year ago, I sank four ammo containers full of ammunition to the bottom of a muddy pond. Two of the ammo storage containers were made out of a rugged poly material, and two of the containers were common mil-spec steel cans used for storing .50 ammo or .30 ammo. All of the containers had rubber gaskets.